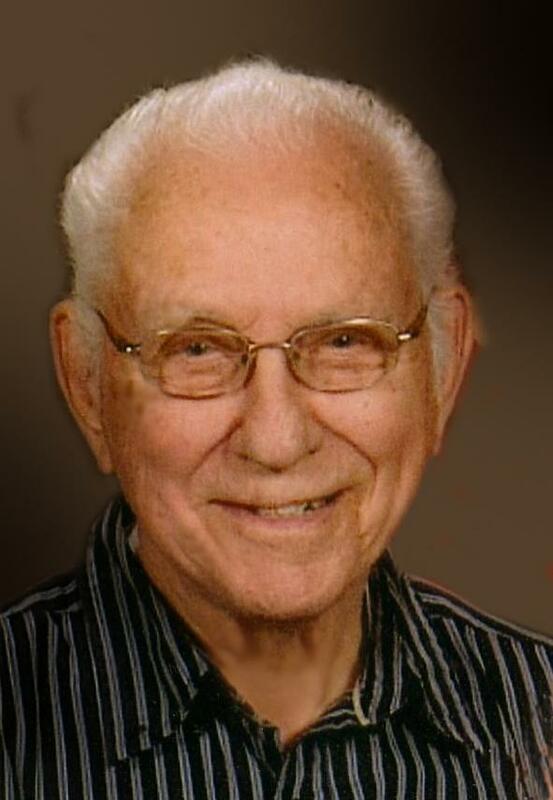 Edward W. Anibas, 93, formerly of Augusta and Osseo, passed away comforted by his family on Sunday afternoon March 24, 2019 at Care Partners Assisted Living in Altoona. Edward William Anibas was born July 28, 1925 in Lima Township, rural Mondovi, the son of Frank and Rose (Bauer) Anibas. Edward farmed with his family until he enlisted in the United States Marines and served in Korea during the Korean War. After his honorable discharge he returned to Wisconsin and took a job at the Cross Road Service Station in Eau Claire. While in Eau Claire he met Donna Mae Kersten and the couple later married on Feb. 1, 1957 at the parsonage of Trinity Lutheran Church in Fall Creek. Ed and Donna began their life together in Eau Claire before moving to their home in the Bears Grass area of rural Augusta in 1962. For 25 years Ed was employed by Pope and Talbot Paper Mill in Eau Claire, where he worked in the shipping department until he retired at the age of 62. In 1986 the couple moved to Osseo and in January of 2018 due to failing health Ed entered Care Partners Assisted Living in Altoona. Ed was baptized into the Catholic faith and after his marriage was confirmed at St. Peter’s Lutheran Church in Bears Grass. Ed and Donna later transferred their membership to Price Lutheran Church and more recently to South Beef River Lutheran Church. Ed had always loved the outdoors. He took several fishing trips to Canada and enjoyed musky and pan fishing in the Eau Claire River and nearby lakes. Many times he would hand his pole over to someone younger than himself because he enjoyed seeing them land his fish. He also loved hunting, especially his trips to Montana with his buddies or alone in his tree stand with his bow. Deer hunting with family every November was a very special time. He also enjoyed camping with his family in Hayward and at Jelly Stone in Warrens. He always looked forward to the annual Spooner Rodeo and watching area horse pulls. When vacation time would roll around, he enjoyed traveling and going on bus trips with Donna. Over the years they made several trips to Branson, Missouri and Sandstone, Minnesota to listen to his favorite old time country music. Mondovi, Jeanette Johnson of Osseo; sisters-in-law, Charlotte Anibas of Mondovi , Shirley Volbrecht of Fall Creek, Sharon and Orville Green of Cadott. Ed was preceded in death by his parents; siblings, Franklin, LaVern (Leone) and Gerald Anibas, Leone (John) Norbert; son-in-law, Donald Simpson; and brothers-in-law, William Johnson and Lawrence Volbrecht. A visitation will be held Saturday, March 30, 2019 from 1 to 4 p.m. at the Anderson Funeral Home in Augusta, where funeral services will be held at 4:00 p.m. at the funeral home with Pastor Janelle Harrison officiating. Burial with military rites will be in the Osseo Cemetery following the service. Join the family in a celebration of Ed’s life with a light meal and socializing at the Osseo Golf Club beginning at 5:00 pm. The family wishes to thank the staff of Interim Hospice and Care Partners. In lieu of flowers, memorials can be given to the South Beef River Lutheran Church or to the Highgrounds Veterans Memorial in Neillsville.